gingerbread is synonymous with the holiday season. 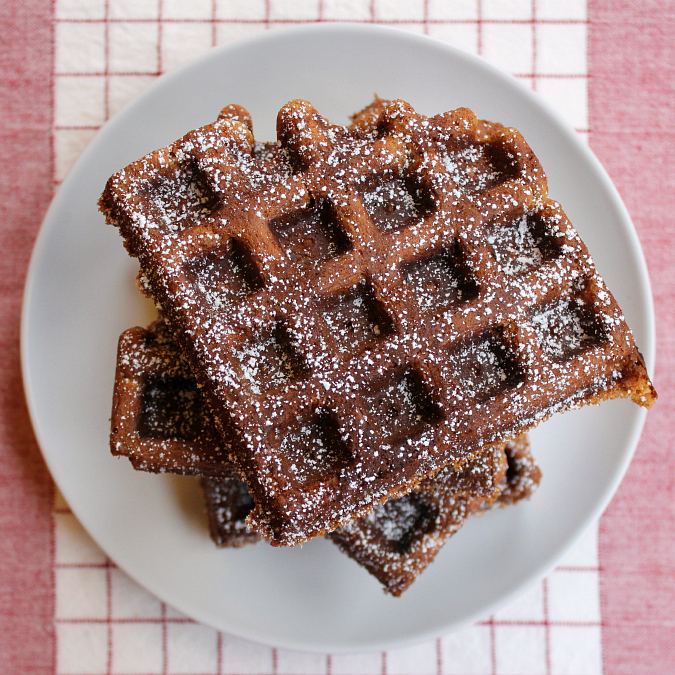 as soon as i saw this recipe for gingerbread waffles, i just knew we had to make them this christmas. 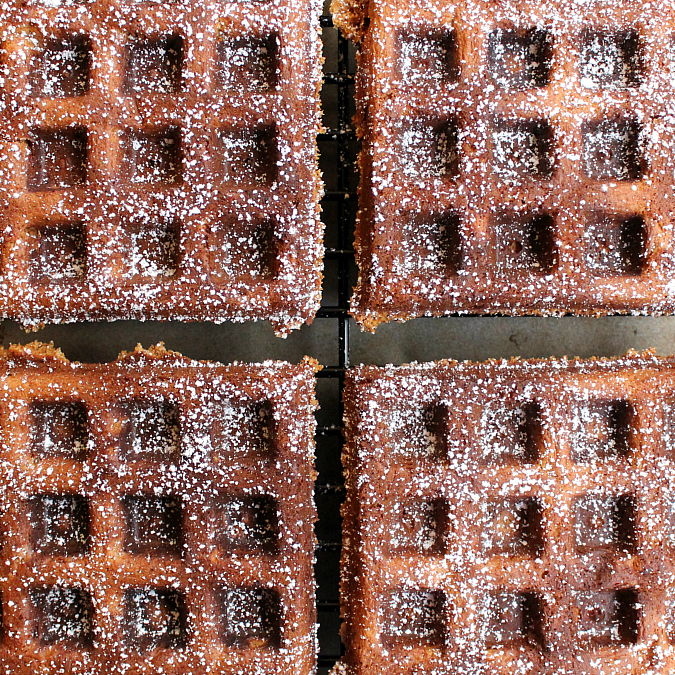 we made these waffles for breakfast recently, and they certainly hit the spot. 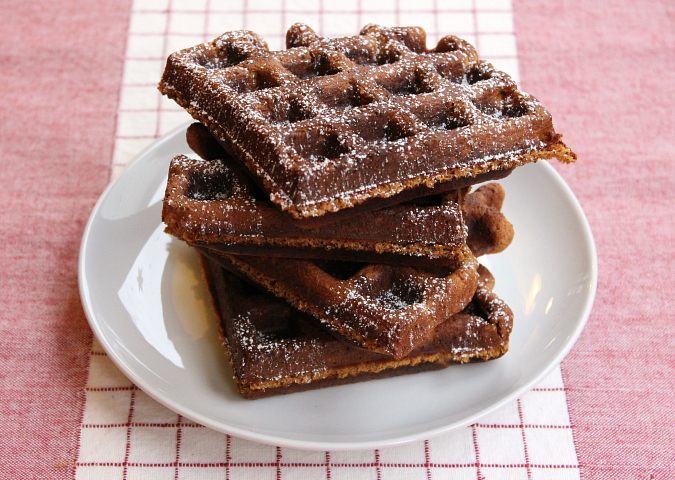 these waffles are not like other gingerbread waffles. they are deep and dark, and they have a wonderfully intense spice flavor from the ginger, cinnamon, cloves, and nutmeg in them. the molasses makes them extra special. they have crispy edges and soft centers. they are gingerbread perfection! preheat your waffle iron according to the manufacturer's instructions. in a large bowl, combine the flour, baking powder, baking soda, spices, sugars, milk, molasses, and egg. whisk together until combined. stir in the melted butter. pour enough batter into the waffle iron to just barely cover the waffle grid (usually about 1/2 cup of batter per waffle). cook 3-4 minutes, or until the waffles are a deep brown color. once cooked, transfer the waffles to a cooling rack while you prepare the remaining waffles. (note: the waffles will be soft when they first come out of the waffle iron, but they will crisp up in just a few moments.) serve warm dusted with powdered sugar, and with warm maple syrup. This look wonderful. Perfect for the new waffle maker I got for Christmas this year! Thanks for sharing! I can almost smell the spice through the picture. I love gingerbread and I will have to try them.